Democracy is the most popular system in our political discourse, not only in the global world but also in Indonesia. Democracy presents the common interest of people. Using all the infra-structure and supra-structure, the people interest could be contested as a government policy. 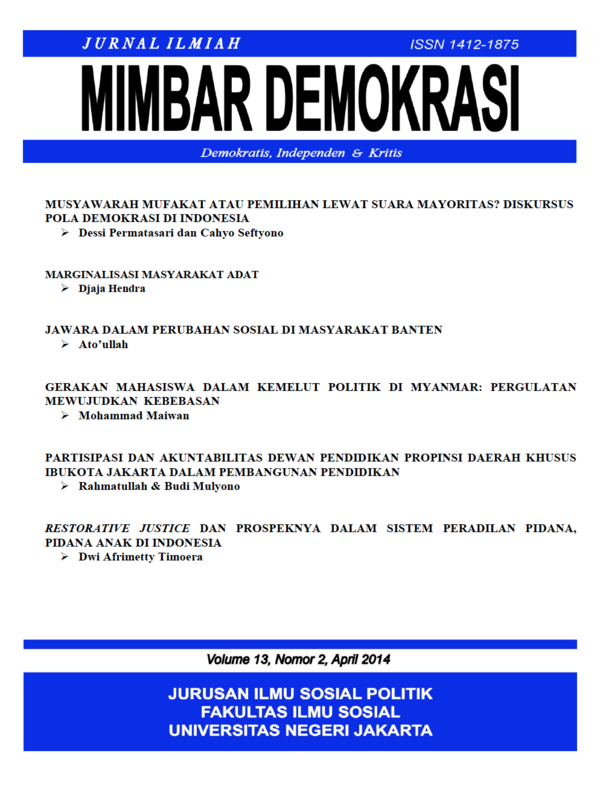 The government policy, in Indonesia, has been produced in two mechanisms: Musyawarah Mufakat and Majority vote. Both of them based on our value called Pancasila. With the problem in democracy including space and number of people, musyawarah mufakat sometime replace in another process like majority vote. The example for majority vote is election, in national both in national scale and local scale such as Citi, Residence, and Province. But in other place musyawarah mufakat also perform in the making of policy in legislative level. In some case, the decision of discourse for government problems was decided by musyawarah mufakat. So, in this case, Musyawarah mufakat and Majority vote are same in the range of democracy system. Both of them also have fundamental reason that has fundamental reason as implementation of Pancasila as national value.